Some gameroom games can be calming, but there’s never a boring moment in foosball. Get your blood going with a good game of foos! Foosball has been around in the United States since 1927 and was invented as a way to bring soccer indoors. It’s a game that’s easy to learn and fun to play every time. Get good enough and you can join a professional league! 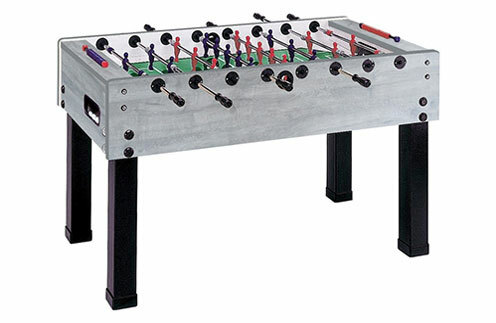 Check out our great selection of foosball tables for you game room today.